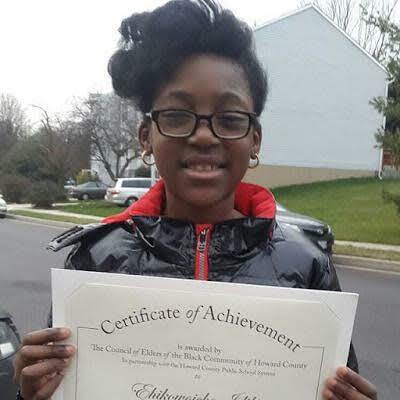 2face's daughter with Pero Adeniyi was awarded a certificate of achievement by the Council of Elders of the black community of Howard County in the US state of Maryland. The music icon took to his Instagram page to celebrate his beautiful daughter, Ehibenzy Idibia. "Yesooo My WC Go baby! #prouddaddy #ehibenzyidibia" he captioned the photo.